Undertown is as much a free action game as a technical demo that was created by a small team of talented Spanish developers. It’s a very short and as of yet incomplete production, but the high values in display and the amazing horror atmosphere are more than worth a look or two. Most players will probably compare it to several commercial games, since there are a lot of inspirations to be found. But what is most impressive here is the visual quality, with a very detailed and muscular hero, amazing lighting effects and several monsters. 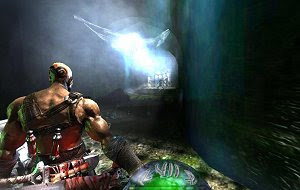 The player is able to summon a demon and take advantage of his powers before they end up consuming him, all in a mission to rescue his girlfriend. Besides the incomplete Story mode there’s also a Survival mode, where you have to fight waves of monsters for as long as you can.